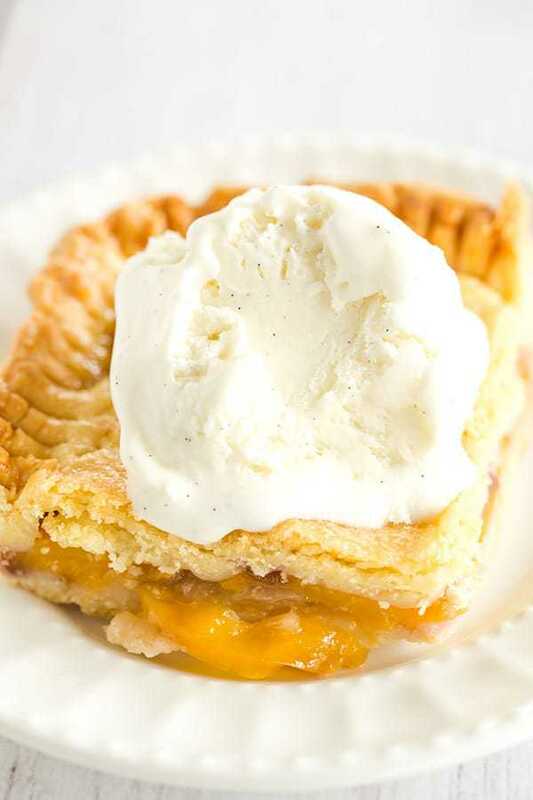 Slab pie with a tender pastry crust and filled with both yellow and white nectarines. A summer must! Nectarines have been a HUGE hit in our house this summer. They have been sweet, juicy and downright amazing… between the three of us (Joseph loves them too!) we have been going through a TON each week. 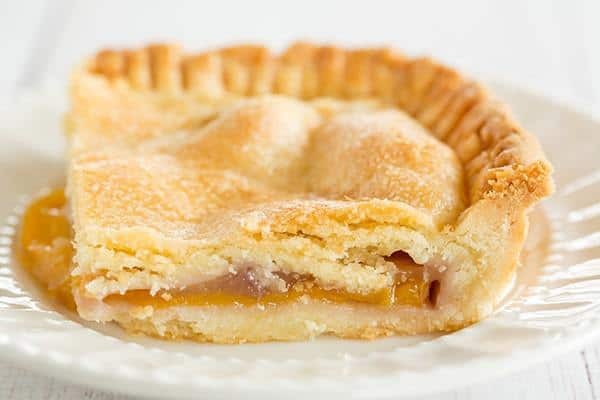 A few weeks ago, my husband asked if people ever made nectarine pie, or was just peach pie a thing. Peach pie, of course, is one of the summer classics, but there’s no reason to leave nectarines out in the cold. I made a mental note to throw together a nectarine pie while they were still in season. And since I don’t make nearly enough of them, I decided to make it a slab pie. This nectarine slab pie has more of a tender pastry crust than your traditional flaky pie crust, which was a wonderful change of pace. It was wonderfully light and super sturdy, which was great for a slab pie. There were no pieces of pie drooping or falling apart as it was served. In fact, I MAY have cut off a few slivers and picked them up and eaten straight-up with my hand. Portable dessert for the win! 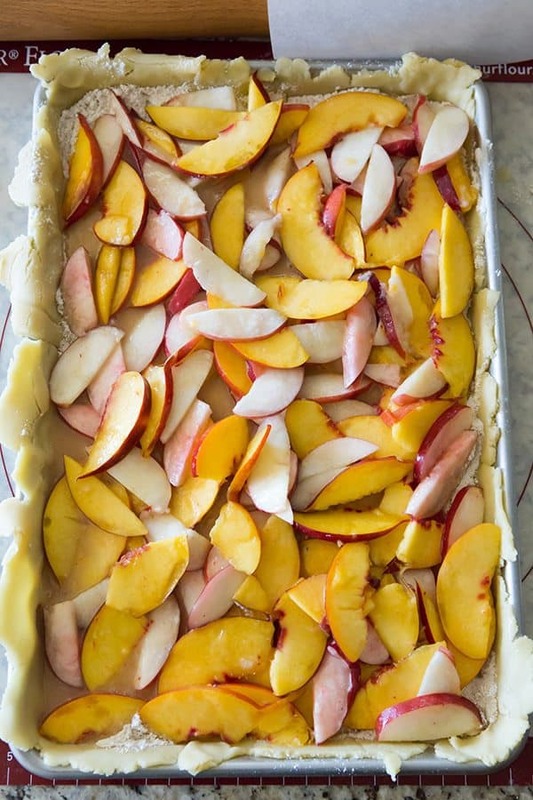 I included the amount of nectarines in the recipe below as I made it, but I think you could totally up the amount for a fuller pie filling in the middle. 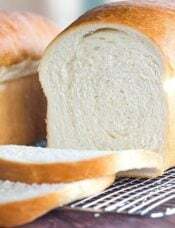 A quick note on the crust – it’s super soft so it’s rolled out between sheets of parchment paper. I had two issues with this – I didn’t have large enough pieces of parchment, so when I went to transfer the dough, the edges fell off and I had to piece it back together. Also, rolling out between parchment leaves creases in the dough, which is just an aesthetic issue, but I wanted to throw it out there. Not surprisingly, this was a big hit with all of the nectarine lovers in our family. It was just sweet enough and perfect with a scoop of vanilla ice cream. 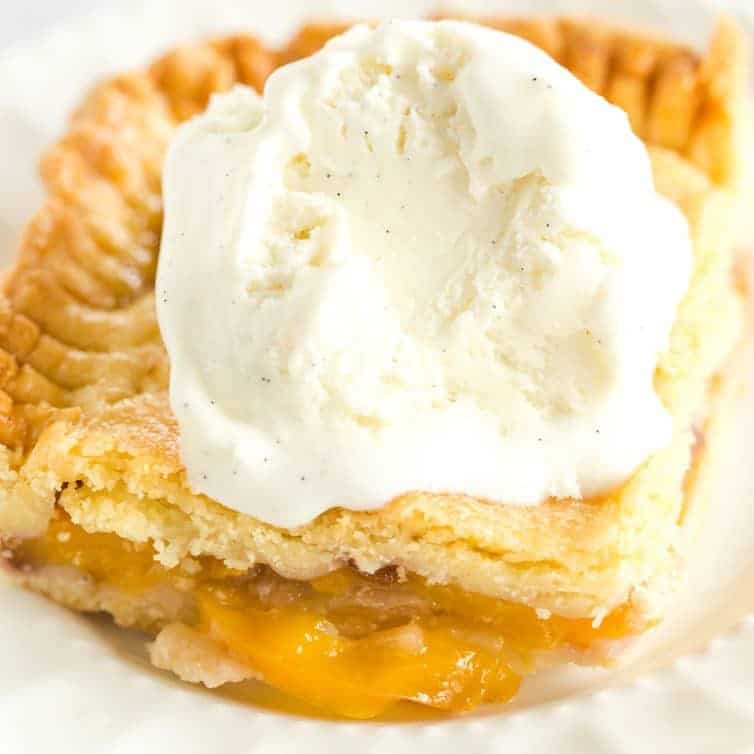 Treat yourself to this amazing nectarine pie before they go out of season! 1. Make the Pastry Crust: Place the flour, butter and powdered sugar in a food processor and process until the mixture resembles wet sand, or coarse breadcrumbs. With the motor running, add the egg yolks and ice water, and process until a dough just comes together. Turn the dough out onto a lightly floured surface and bring together using your hands. Divide the dough in half and flatten into discs. 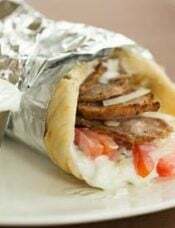 Wrap tightly in plastic wrap and refrigerate for 1 hour. 3. Make the Filling: In a large bowl, gently mix together the sliced nectarines, sugar, cornstarch, honey and vanilla extract; set aside. 4. 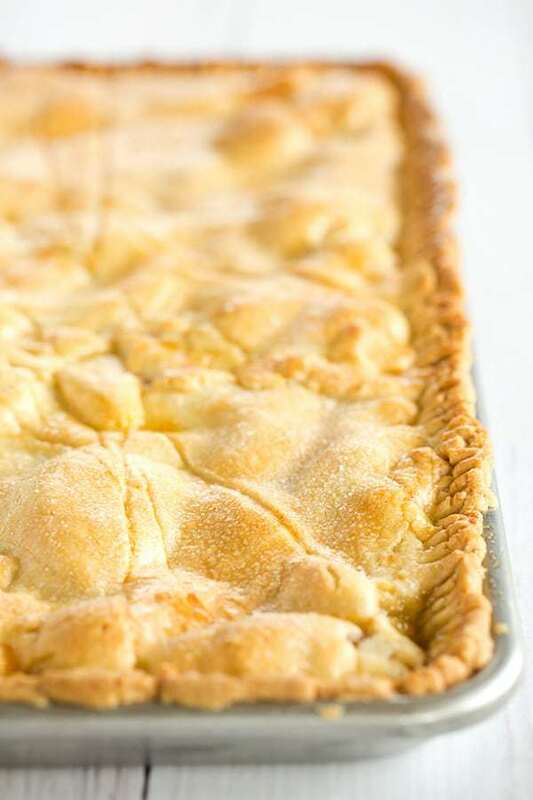 Assemble the Pie: If you have refrigerated the dough for longer than 1 hour, it may need to sit at room temperature for 10 to 15 minutes to be workable. When ready, roll out 1 pice of the dough between 2 sheets of parchment paper into an 17x12-inch rectangle. Gently transfer the dough to an ungreased 15x10-inch jelly roll pan. 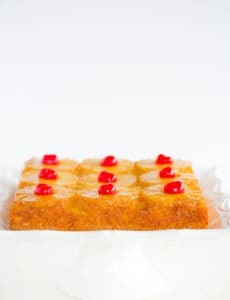 Sprinkle the surface of the dough with the almond meal (or oat flour) and top with the nectarine mixture, gently spreading it into an even layer. 5. 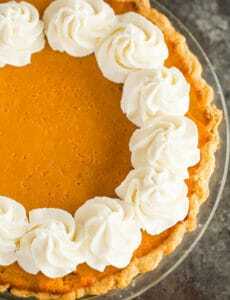 Roll out the remaining piece of dough as you did above and place it over the top of the pie. Press the edges of the dough together and use the tines of a fork to seal. Refrigerate for at least 1 hour. 6. Using a sharp knife, cut a cross in the middle of the pastry. 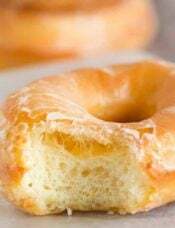 Brush the beaten egg evenly over the surface of the dough and sprinkle with the sugar. Bake until golden brown, about 55 to 60 minutes. 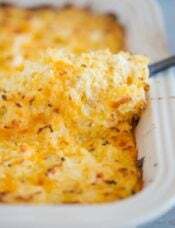 Allow to cool for at least 20 minutes before serving. Next Post » I Want YOUR Recipes! My family is having a reunion this weekend and my grandma grows nectarines and peaches and all sorts of berries in her backyard so I thought I’d maybe make this once we got there and I was wondering if 1. You had to use oat flour on top of the bottom crust or if AP flour was fine too. 2. Would tossing some blackberries into the nectarine mixture work out? 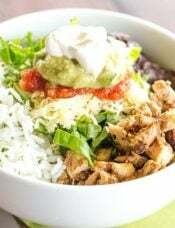 Or would I need to add more cornstarch, etc. Hi Andrea, Awww how fun! 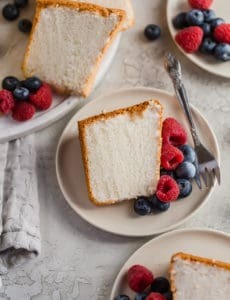 I think AP flour would be fine and the addition of blackberries would be delicious! My first attempt at slab pie was a success, thank you! The dough is amazing – light, delicious and made me think of shortbread. Because of your warning about its tenderness, I rolled it between two silpats which worked perfectly and made for an easy transfer to the jelly roll pan. This is going to be a go to pastry dough for me. I didn’t use the nectarine filling, because I had peaches on hand. I used a KA flour recipe for peach pie for the filling, but I have to say I wasn’t thrilled with it although the tray was gobbled up by my family so they clearly weren’t troubled by it. I’m thinking the pastry would pair really well with blueberries so that will be my next attempt. Thank you, as always, for making me look good. 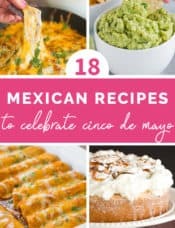 Love all of the information and tips that you publish with your recipes. Gives me lots of confidence to give them a try. Hi Linda, Thanks so much for taking the time to stop back and share your feedback! I’m so happy you liked the pastry crust and that the pie worked out! Blueberry sounds delicious :) Thank you for the kind words, as well. Oh dear, you speak my language ! Thank you so much ! Ohh i made it today and it is just the best! Thank you so much! I had some leftover dough so i made them into cookie shapes and sprinkled cinnamon and sugar on top. Also tasted amazing! I am dieting using My Fitness Pal. I decided to see how many calories in this delicious pie. It is 405 calories of pie which is 1/8 of pie. My oh my! I only wish I could eat this pie as nectarines are one of my favorite fruits. I am jealous of those that can make this pie. I love slap pies. They work so well for larger crowds. This is a really interesting pie crust recipe though. I want to make this one just to try out the crust :) I just got some Chambersburg nectarines last week, and they are fantastic! Very pie-worthy! I have to admit that I’ve never made a slab pie, and I’m not sure why I haven’t. They’re such a nice alternative to traditional pies, and this nectarine (and honey – yum!) version is no exception! A great way to use in-season nectarines! I haven’t made a slab pie yet but I seriously need to. Nectarines are awesome! I love that you used both white and yellow nectarines and didn’t peel them. Nectarines are a big hit in my house as well. My kids gobble them down. My 4-year-old, Esther in particular can eat 3 in one sitting!!! And I wonder how far you can stretch the pie thing too, like is a pomegranate pie possible? Where did you purchase the delish nectarines you described? I haven’t been so lucky! Hi Carrie, Just my local grocery store!